Team Léo had a great time this year at Festival du Bois! In support of the event we invited our clients, many attended, and we had a fab time visiting with all the people. Celebrate Canada Day in Coquitlam! Celebrate Canada Day in Coquitlam! Whether you're new to Coquitlam, visiting from out of town, or even if you visit every single year, there's always something new to see. What: A day of celebration with activities for all ages! Community Drive: Demos, shops, exhibitions and more. Come support local businesses! Coquitlam Lane: Come learn about Coquitlam, its history, and all it has to offer! We live in a wonderful town. Green Street: Visit the bear mascot and learn about how you can contribute to a sustainable future. The Meadow: Come and create with us! Henna tattoos, face painting, make yarn creatures and more! Entertainment: WOW, where do we even begin? Take the skytrain to Lafarge Lake - Douglas station , park & shuttle bus from Gleneagle Secondary, or just walk in mild weather - it's going to be a great day. For more information, please visit coquitlam.ca (HIGHLY RECOMMENDED). Curb appeal will ensure that your home gets seen by the most prospective purchasers in a competitive housing market. Within seconds of seeing your home, buyers will have formed their opinion. They either like what they see and want to see more, or they won’t give your listing a second thought. This is why the exterior of your home shouldn't be an afterthought. If a buyer likes the photos from your online listing, they will do a drive-by or schedule a showing to see the home for themselves. Paint your front door, shutters and trim to freshen up the exterior. Consider a vibrant color that complements your home style. Replace your old house numbers, doorknob and mailbox. Everyone will come up close and personal with these fixtures- and they will judge your home based on these not-so-minor details. A popular Open House tip is to turn on all the lights to give your home a sense of warmth; as well as the exterior lights to welcome buyers in. For an inexpensive and low-effort way to add color to your home's exterior, keep a well-tended garden to allude to a well-maintained home. Fixing your roof isn't exactly a "cheap" fix, but it's worth the price as a home with missing or curled shingles isn't appealing to potential homebuyers. It can help to ask your real estate agent to offer some constructive criticism to help bring your home up to par. Their mission is the same as yours–to sell your home for the right price and in quick time frame. Whether you’re a black-and-white type of character or have an every-color-of-the-rainbow personality, creating a colour palette is a great idea when getting your home ready for showings. An assortment of colours is great, but it’s important to make sure they all match and work well together. When it comes to staging your home, you want to create something that looks aesthetically pleasing to show off the quality of your home. Step 1: choose the primary colour. This is the colour that you really want to use for a room. It should be a colour you love and look forward to seeing. Step 2: decide where this colour is going. Will you use it for the walls or for accent pieces? Step 3: pick other colours that compliment your primary, or statement, colour. If your primary colour is not going on the wall, choose a colour that will compliment your statement colour. Step 4: as you design your room, stick to your colour wheel. Don’t stray from your colour palette and don’t pick too many colours. Here's a tip: Your best bet is to use neutral colours for your walls. If you work with us, we bring our own staging equipment that suits every room to help set up your home. 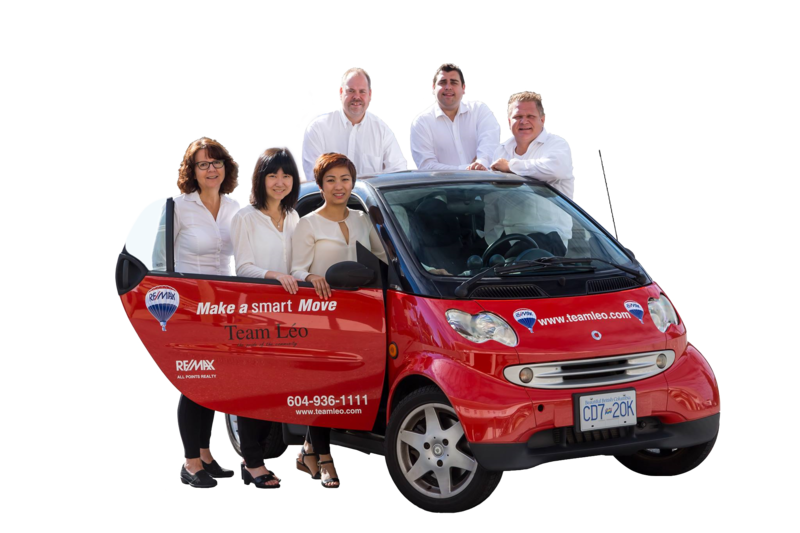 Can you believe Léo has been working with RE/MAX for TWO DECADES? Léo's interest in real estate was prominent at a young age. His passion was obvious from when he first started working in the business. As a dedicated member of RE/MAX, he is proud of the success of the brand. 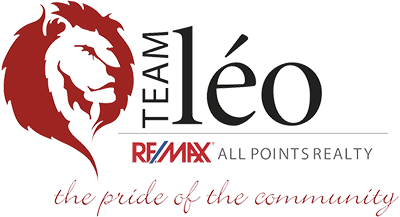 RE/MAX is the top real estate brand in the world, and Léo is proud to be a representative of the brand. Léo's top priority has always been towards the community. It is with fond memories that we think back to past Team Léo events held to show appreciation towards clients and to also promote the community. Who in the neighbourhood can't recognize the loud boom of Léo's voice before seeing him? Those of us who know him well probably think "there's Léo, showing a new family around the neighbourhood, promoting a local business or volunteering for a cause." In twenty years, he has left such an impression on everyone in the community. From all of us here at Team Léo, congratulations for 20 years! Santa and His Super Hero is a book born from late night stories and a respect for our local heroes. Before going to sleep at night, a young Nathan would sit on his bed with his father, Keven McTaggart and come up with stories of Santa and Christmas. Being an inquisitive young man, Nathan began to wonder what would happen if Santa got stuck in a chimney. Together, father and son came up with different scenarios to add to their short stories. Firefighters played a major role as they would rescue Santa in the stories. Nathan and Keven eventually decided to put their stories together in the form of a book. They were finally contacted by a self-publishing organization that helped them get closer to their goal. Nathan was so excited to share his book with his friends that he brought it to his 2015/2016 class at Harbour View Elementary School. There, his teacher, Mrs. Shinkewski thought that it would be a neat idea to let her students draw the illustrations. COQUITLAM,BC:NOVEMBER 29, 2016 -- Nathan McTaggart poses for a photo with the book and members of the Austin Heights Fire Station in Coquitlam, BC, November, 29, 2016. Nathan wrote about Santa getting stuck in the chimney and firefighters had to rescue him. (Richard Lam/PNG) (For Tracy Sherlock) 00046527A [PNG Merlin Archive] There is never a wrong time to teach children about charity. When Santa and His Super Hero was published, Keven thought that it provided a good opportunity to share this lesson with Nathan. To them, it only seemed right that since the book was about firefighters, they would support a cause in relation to them. The net proceeds from the sales of Santa and His Super Hero are given in support of the BC Professional Firefighters' Burn Fund. The Burn Fund has partnered with the Vancouver Park Board for the past 20 years to present the magic and illumination of Bright Nights in Stanley Park. On November 29th, Keven and Nathan will be giving this year's donation to the BC Burn Fund at their VIP event of Bright Nights in Stanley Park. Buy a copy of their book in support of this great cause and to pick up some great reading material. The book is an entertaining read that you will definitely enjoy. And with Christmas coming up, you could also purchase a few extra copies to give to your loved ones. Also visit the BC Burn Fund website to find out other ways you can help. You can order your copy of Santa and His Super Hero directly from the website or from Indigo. Santa and His Super Hero is a great Christmas book for all children. It's even equipped with a special page in the back where children can write their Christmas wishes. This page can be cut out and sent as a letter to Santa. Get in touch with Team Leo to learn more about this book at (604) 936-1111 or at team@teamleo.com. We hope everyone has a happy and safe Christmas! It's that time of year again. The weather's wet, the temperature's dropped and our giving spirit is in full swing. Once again, Team Leo is working with the Realtors Care Blanket Drive to make sure everyone stays warm this winter. There are too many people out there cold, hungry and in need of a little bit of comfort. Over the last 23 years, the Blanket Drive has helped more than 300,000 people in our communities. This success is thanks to YOU! Your donations have provided those in need with warmth and support. And we could use your support again this year. We collect donations of winter gear to give to the homeless, working poor and anyone else who is in need during the cold season. We then take the donations directly to those in need to make sure all those in need has something to keep them warm. Our mission is the same every year, to spread hope and warmth to everyone. Your generosity could help keep someone warm this year. Everyone has clothes in their closet that they'll never look at again. One man's junk is another man's gold. Let someone else make use of what you don't. We make sure the items you donate goes directly to those in need. If you have any questions about the donation or if you'd like to talk to one of us directly to know more about how you can help, call (604) 936-1111 or email team@teamleo.com. Join our Facebook game and win a prize! Who doesn't like playing games? And if you love games as much as you do, then you'll definitely want to join Team Leo's fun. If you don't know what we're talking about, go to the Team Leo Facebook page and see the post about our Smart Car game. What's the Smart Car game? We love our neighborhood and we want to share all of our favorite locations with you. So for the next few weeks, Team Leo will be driving the team smart car to different locations throughout the Tri-Cities area. The car will be left at a location until it is found by you! The first person to find the car wins a prize. We want to give everyone a chance, so to make it fair, you can only win once. That means that there will be a new winner for every new location. Make sure to follow the Team Leo Facebook page so you can keep track of the car for a better chance to win the free giveaway! How to find the car? The smart car will always be parked within the Tri-Cities. The first person to find the car at the new location is the winner. If you have trouble finding the car and the car goes undetected for a few days, then we will give a few little 'hints' to help you locate it. Pay very close attention to any comments or photos anyone from Team Leo posts about it. Like any game, this one has rules too. But no need to worry, they're very simple. Find the car, take a selfie with the car and post the selfie to Facebook. Don't forget to like the Team Leo Facebook page and tag Team Leo in your selfie post. Good question! We have some gift cards that we want to share with you. All Canadian children are familiar with the concept of Remembrance Day. Every November 11th, they go to a ceremony where there is a parade and they stand in silence until a bugle horn begins to play. We are taught the significance of the ceremony and how it commemorates those who died in armed conflicts. The significance of Remembrance Day is much greater than what we think. It is also a day that some veterans had to fight for in order to get recognition. Here are 5 facts about Remembrance Day that you may not have known. Most of the British Empire recognized the end of World War I as Armistice Day. It was celebrated on the second Monday in November, which at the time was the same day as Thanksgiving. In the past, there was less public demonstration to honor this day. While most veterans and their families would gather in churches and local memorials, they were supported by few other Canadians. It wasn't until 1928 where recognized citizens, most of whom were veterans, pushed for greater recognition. They also wanted a day of remembrance that didn't coincide with the Thanksgiving holiday. In 1931, it was decreed that Remembrance Day would fall on November 11 and would emphasize the memory of fallen soldiers. On November 11, 1918, the armistice was signed at 5 am in a railway carriage in France. The first World War ended six hours later, at 11 am. A two-minute silence is observed to remember those who lost their lives in conflict. The moment of silence is due to the practice in Cape Town, South Africa, where they held a daily three-minute silence. This was known as the Three Minute Pause. One minute was in thanksgiving for those who had returned alive, the second minute was to remember the fallen. The poppy is the symbol of Remembrance Day. Poppies are worn for a remembrance period that runs from the last Friday in October until November 11. The tradition to wear poppies began when the red flower was seen growing over the graves of soldiers. Poppies are also worn at other memorial events throughout the year, such as anniversaries of important battles. Every year, the Royal Canadian Legion sells replica poppies to provide assistance to veterans in need. The Canadian Legion organizes the National Remembrance Day Ceremony on behalf of the people of Canada. The Governor General of Canada presides over the ceremony at the National War Memorial in Ottawa. The ceremony is broadcast nationally and can be watched from 10:15 am to 12:00 pm through Facebook Live stream. Every year, the Royal Canadian Legion chooses a candidate to be the National Silver Cross Mother. This representative symbolizes all mothers whose sons or daughters died while on active duty. The annual honoree places a wreath at the base of the National War Memorial at the National Remembrance Day Ceremony. The Royal Canadian Legion #263 will host the traditional Remembrance Day ceremony at the Blue Mountain Park Cenotaph. The ceremony will begin at 9:45 am at Como Lake Middle School. At 10:30 am, a parade will follow along Winslow Avenue to the cenotaph on Veteran's Way. Service at the cenotaph will begin at 11 am. More details about this event can also be found on the City of Coquitlam website here. One thing that we find very important here at Team Leo is building relations and keeping them. Leofest is a great time to get to know new clients and to catch up with old. We are always super excited to see everyone who comes. Buying or selling a house can be stressful. Our aim is to make sure everyone has a good experience. We love making friends and seeing how people have adjusted. At our September Leofest, we had the chance to chat with some of our old clients. Chandra and Nadine Collett were past clients and we had such a fantastic experience working with them. We asked them what they thought about working with Team Leo and here's what they said. Click the image to see what Chandra and Nadine said. Team Leo is extremely professional, readily available, are happy to answer all questions, and have an impressive online presence. Thank you for working with us Chandra and Nadine. We can't wait to see you again at our next Leofest! Fall is already here and if you're anything like me, you're a little behind on the home upkeep. Yikes! But don't worry. There's still plenty of time to make sure your home is fall-proof to withstand the weather. Here are some smart maintenance tips to make your home ready for fall. This stunning two level family home in Maple Ridge is listed on our website and has a lovely fireplace that will keep the home cozy and warm all through fall and winter. go around to every door and window in the house and make sure no draft is coming through them. If you feel a draft, be sure to seal around the frame properly. One way to check for drafts is to light a candle and hold it near a window or door. If the flame flickers or goes out, then there is probably a draft. To seal your frame properly, make sure you dry the area with a clean cloth before applying some caulk around the outside of the window. For further protection, you could also add a heavier curtain around the drafty window to help block air intrusion. Sure, you're furnace probably doesn't need a yearly inspection, but trust me, it's better safe than sorry. A newer furnace probably only needs to be checked every other year, but a furnace that's older than 10 years could have complications and should be inspected annually. Hire an HVAC professional to test for leaks or heating inefficiencies. Trust me on this, you don't want it to reach the middle of winter to find out that there's something wrong with the furnace, that could lead to a cold few days. Not every home has a fireplace, but if you do, make sure that it is in proper working order. Before using your fireplace, you probably want to make sure no creature has made a home in the fireplace or chimney while it was not in use. You should take a quick look at both the interior and exterior for any damages. Definitely make sure that your gas fireplace is in good condition before use and that there are no leaks. If you suspect a problem, call a professional to take a look. Don't forget to stock up on wood for wood burning fireplaces. With all the heating devices, holiday decorations and lit fireplaces or candles, winter and fall are the seasons to be extra cautious. Accidents happen so it's important to be prepared in case of electrical failures, fires or gas leaks. Go around your home and check the batteries for all smoke detectors, carbon monoxide devices and any other safety features your home has to make sure they are all in proper working order so you can feel safe this fall. Beautiful home on Myrtle Way listed for the first time has a gorgeous yard that's been well maintained. You can do a quick check of your roof from the ground. Use binoculars to see if you can spot any missing or damaged shingles. If you are uncertain, you could try climbing a ladder for a more thorough inspection. However, before you climb up to the roof, ask a friend, neighbor or family member to be a spotter to ensure your safety. Another good way to see if there's damage to your roof is to check the attic for any leaks or water damage. Cleaning the gutters is something you can do yourself or hire a service. What you want to do is remove leaves, nests or any other type of debris that has collected in your gutters. You should also inspect for leaks. A clocked gutter can cause leaky roofs or water damage to the interior and exterior of your home so it's important to regularly clean your gutters. Maybe a bird or animal has picked a hole in the wall of your attic and made a home, or maybe the wear and tear of weather has left its mark on your home with peeling paint and rotted wood. You won't know if there's any damages unless you check. You never really know what could happen to your home so it's better to find out before it gets too cold to be able to make repairs. Damages to the home can be harder to repair during colder months, so get on top of the maintenance before it gets too cold. Something that can easily be forgotten in preparing your home for the fall is properly storing your hoses. Chances are, you won't be using them until the spring, and even if you do plan on using them during the fall, it's important to pack them away properly while not in use. The cold weather can damage hoses irreparably. The water inside can freeze which can lead to ruptures in the hose lining, an interior pipe burst, and even mildew growth. Trust me, it's better to avoid this. So turn off all spigots and nozzles, disconnect and drain your hose, remove attachments, coil the hose then find a warm, dry location on a hanger or shelf to store your hose. You won't regret going through this fall home maintenance checklist. Don't forget to fall-proof your home! Security Cameras: what's your thought? Why have a security camera? When things go bump in the night, I'm sure you'd want to know whether it's the dog or a ghost. If you are brave enough to check what it is, but maybe not enough to open the door to take a peak yourself, you could always try to set up a security camera so you could check right on your phone. Security cameras are becoming increasingly popular in homes to keep families safe. Having one could offer enough assurance to help you sleep at night. You could be aware of who approaches your home and know whether that banging is a burglar or just a bird. Where to set up your security camera? Knowing the best location to place a security camera to keep track of your home can be a struggle. Any ground level entry points, such as the front door, back door, windows and garage, are sort of basic areas to install the cameras. But you may also want to consider installing cameras in the basement or on the second level of your home as well, such as on pathways that lead to bedrooms. It's unlikely that you will get a camera that will point at every entry point of the home, but if your goal is to catch the face of the intruder, then install it on a pathway within your home an intruder is most likely to pass. This allows you to keep track of everything that is going on within your home. What kind of camera to get? Indoor vs. Outdoor? Deciding whether to get an indoor or outdoor camera is more based on preference. The biggest distinction between the two is that the outdoor camera can also be used indoors, whereas the indoor camera should NOT be installed outside. Indoor cameras can be great for keeping track of all the activity within the walls of your home. You could check up on kids to see if they're doing their homework, make sure the dog doesn't jump on the furniture, or see if the nanny remembered to pick up the kids on time. These cameras are also great for seeing if there are any intruders who stop by without an invitation and make themselves at home. What can a security camera do? Security cameras have a lot of other uses besides monitoring the perimeter of your house. You could set up a camera to watch plants grow or the pattern of animals on your property. You could set up a camera near a bird's nest and watch little birds hatch from their eggs and take their first flight. The best part about setting up a security camera is that you can monitor everything directly from your phone. Do you NEED a security camera? No, not necessarily. If you live in a good neighborhood and don't think you need a security camera, then don't get one. It's not for everyone. It can certainly help to have one, but it's not a necessity. Where to buy a security camera? Security cameras are more readily available and can be purchased at stores such as London Drugs, Best Buy, Walmart. 108 years of French in Maillardville! This Sunday we are celebrating the 108th anniversary of francophone in Maillardville. Maillardville is a small french community within the city of Coquitlam where the first french Canadians settled when they crossed Canada from Quebec to work the logging operations in B.C. 108 years is a long time and Team Leo is excited to be a part of this amazing event to celebrate the community's history. If you do attend the festival, make sure you look out for the Team Leo smart car, and also make sure to stop by the Team Leo tent to say hi to Jasmine. She would love to see you. If you love supporting local artists and seeing concerts in person, then make sure to check out Alouest, Maillardville's very own band. They bring their own West Coast charm and flair to French Canadian music. They have a lot of great songs which we love. Along with the well-loved bean bag toss, we also hear that there will be a number of other games for you to enjoy. A game of Petanque will be set up for your enjoyment. An Osteofit workshop is scheduled to help educate everyone about health and fitness. The instructors will help you learn about safe and gentle exercises to keep you comfortable during your workout. A great selection of awesome music paired with a mixture of dance and aerobic movements, is there a better workout out there? I think not. Who doesn't love to move their body to the beat of some great music? Make sure to find the Zumba initiation and join in on the fun. Wow, with all the cool things happening, this event is promising to be great. We hope you have fun celebrating at this festival! If you have any questions regarding real estate, or you just want to check in to say hi, feel free to call Team Leo at 604-936-1111 or email us at team@teamleo.com. We look forward to hearing from you. Last year, RE/MAX raised a total of $974,000 for the BC Children’s Hospital Foundation! That's almost the value of an entire house*, going towards purchasing equipment and funding research to help our sick children! Can you help us top that this year? Miracle Weekend is fast approaching. Help us make a difference! miraclemaker.ca/LeoBruneau (* We are not asking you to donate your entire house towards sick children but much obliged if you do! Coquitlam Express Opener - THANK YOU!! Thank you to our awesome clients for coming out to the Coquitlam Express game last week and for donating food. Was just able to pass off your donations to Share Food Bank. You guys are amazing! Thank you again to those of you who came out and brought donations for Share Family and Community Services! Super successful event and we hope you had fun as well. Quick reminder that we will have free tickets for all home games of the Express - let us know if you would ever like to go for another. Sometimes, life doesn't go the way you planned and you find yourself without a home in the cold wet winter. Here at Team Léo, we're participating in a blanket drive to keep the less fortunate warm and dry this fall. Please drop by our office to donate or call 604 936 1111 for more details. Share this message with your friends & family. Together, lets make this community better! Click here for the full video! Did you miss the home opener of Coquitlam Express? Fear not, here's a quick video Leo and the team shot at the game! Want to see a future game? Team Léo got you covered. Call us at 604 936 1111 or email us at team@teamleo.com to get free tickets! Click for the full video!